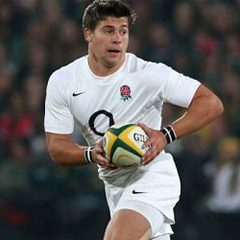 Port Elizabeth - A shoulder injury has ruled England scrumhalf Ben Youngs out of the third and final Test against series winners South Africa in Port Elizabeth on Saturday, a team spokesperson has said. The Leicester Tigers No 9 starred in the 36-27 second Test defeat in Johannesburg this weekend, scoring two opportunist second-half tries to spark a brave comeback. Although England have a game against the Northern Barbarians in Potchefstroom Tuesday, coach Stuart Lancaster was sure to rest Youngs ahead of the Test with the tourists trying to avoid a whitewash after also losing the first in Durban. Harlequins Karl Dickson is expected to arrive in South Africa on Monday as a replacement and could face the BaaBaas, a team composed of northern-based players from the second tier of the Currie Cup. That would leave Lee Dickson and Danny Care to fight for the No 9 shirt against the Springboks, who have won their last nine clashes with England, including the 2007 Rugby World Cup final in Paris.